Within Teamwork Projects, you can use the Templates section to create some templates and set default permissions for your new projects. In the Settings area, select the Templates tab. 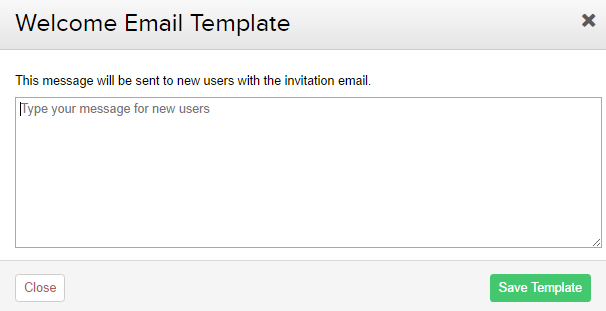 When you add a new user to your Teamwork site you send them a welcome email. Customize the message your new users receive. Create templates for the task lists that you use repeatedly. You can create and edit them just like ordinary task-lists. Then when needed you can insert them into any project as often as you wish. You can create default task lists which will be added as an empty task list in any new projects. You can create default categories which will appear in the following sections in any new projects you create. You can set default board columns when creating a new project. Note: You must be an administrator for these columns to be populated in your new project. You can also reorder the default board columns by dragging and dropping them into a new position. You can set the default projects which new users will be added to automatically. Each user has a set of project permissions on any projects they are part of. You can set default permissions for owner company user, external client company users, and collaborators. These permissions will apply by default to any new users you add to a project. Note: Only site administrators in the owner company can access the Settings and Templates areas.